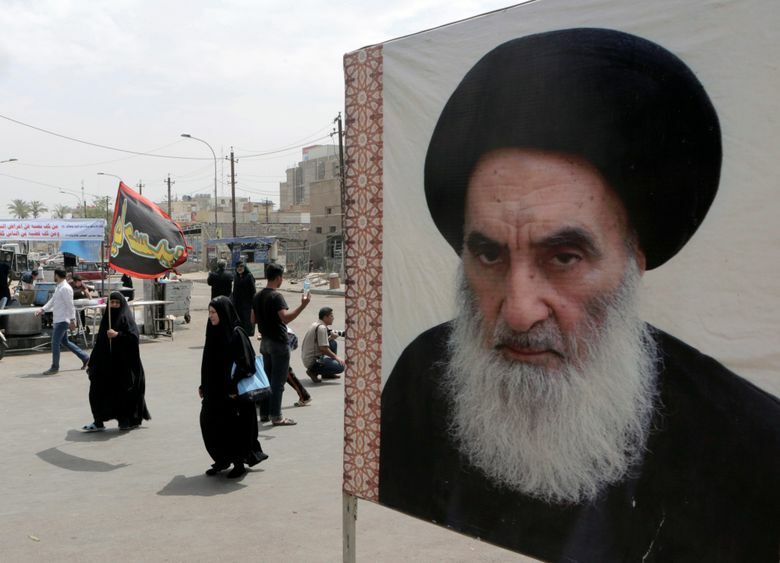 BAGHDAD (AP) — Iraq’s most senior Shiite cleric on Wednesday joined a chorus of Iraqi politicians and clerics criticizing recent statements by President Donald Trump in which he said U.S. troops should stay in Iraq to keep an eye on neighboring Iran. Iraq “rejects being a launching pad for harming any other country,” he said during a meeting with U.N. Iraq envoy Jeanine Hennis-Plasschaert at the cleric’s base in Najaf. “We spent a fortune on building this incredible base,” Trump said. “We might as well keep it. And one of the reasons I want to keep it is because I want to be looking a little bit at Iran because Iran is a real problem.” Trump apparently was referring to the Al-Asad air base in western Iraq, where he paid a brief visit to U.S. forces in December. The base hosts American troops but belongs to the Iraqi army. Prime Minister Adel Abdul-Mahdi, at his weekly news conference late Tuesday, reminded Trump that there are no U.S. bases in Iraq and said he doesn’t accept the idea of Iraq becoming an arena for fighting a neighboring country. He called on Trump to retract his statements. U.S. forces withdrew from Iraq in 2011, but returned in 2014 at the invitation of the government to help battle the Islamic State group after it seized vast areas in the north and west of the country, including Iraq’s second largest city, Mosul. A U.S.-led coalition provided crucial air support as Iraqi forces regrouped and drove IS out in a costly three-year campaign.